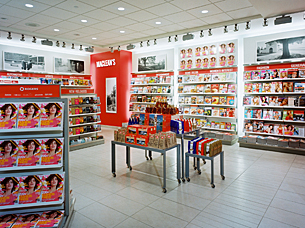 Resulting from a partnership with Macleans magazine, this airport store was designed as an expression of Toronto's position as a world-class city and cultural hub. 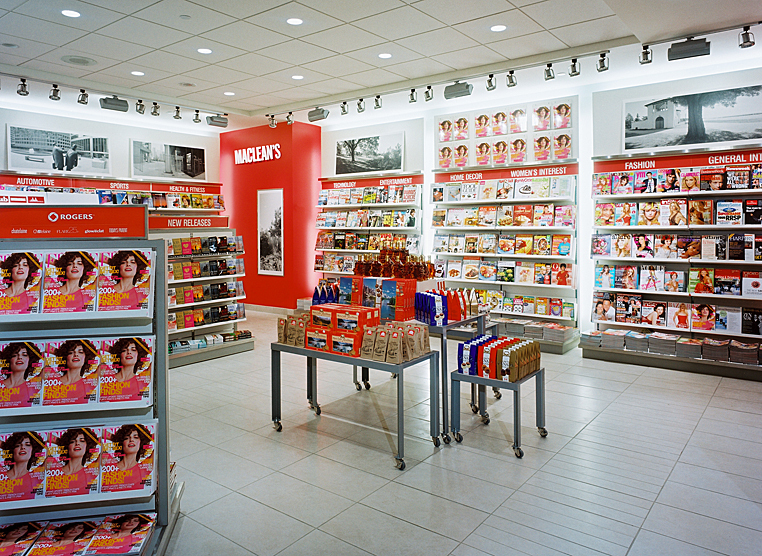 Known for using the best Canadian writers and photographers, to provide the ultimate cultural and social gallery for the city, the nation and the world, the magazine was the natural choice to parallel the city's reputation. The theme is brought to life through a perimeter gallery of black and white photographs featuring Toronto city icons ranging from residential communities, to parks and gardens, to street scenes to architectural details. 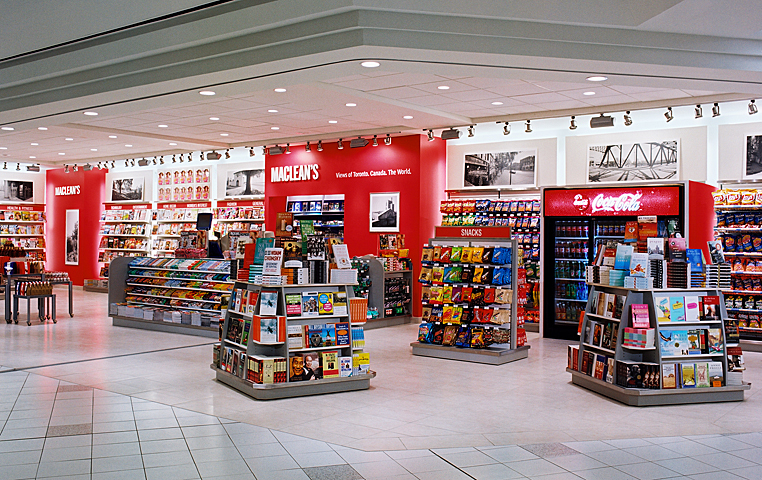 The bold interjection of the Macleans red behind the centrally located cash counter, grounds the space.